The changing view of Nuclear Energy has seen a new commitment to a significant contribution from Nuclear in meeting low carbon energy demands and reducing greenhouse gas emissions. The maintenance and decommissioning of the more aging reactors, long term storage of nuclear waste and development of new reactor technology all require delivery and assurance of reliability in order to continue to meet regulations. Although in many cases these are goal setting rather than prescriptive, the need to demonstrate that risks associated with supply and storage are as low as reasonably practicable (ALARP), means that the technical risk and hence equipment reliability is an essential input to engineering decision making and integrity management. 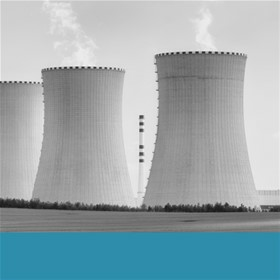 Astrimar specialist reliability engineers have established risk and reliability expertise in a range of industries and provide support to the Nuclear Industry, to help technology developers, installers and asset operators to deliver the required levels of asset reliability and integrity. Operational reliability and integrity are achieved when asset teams successfully assess, manage and mitigate each identified risk. By combining risk and reliability analyses with more traditional engineering, we aim to provide risk-based decision support to improve reliability, integrity and operational efficiency. From early design and qualification and on through the operating life, we provide an understanding of reliability capacity as an essential input to asset decision making, including design improvements, system monitoring, spares holding, inspection, maintenance and upgrade. Our experience has identified that the qualification of any new technology before it is installed in service, is crucial to managing technology risk and achieving (and assuring) reliability and availability through life. As such we have best practice experience of applying reliability engineering principles to the development and implementation of effective technology qualification using the widely adopted technology readiness level (TRL) approach combined with prioritised assessment and qualification related to failure mode risk. The approach focusses on understanding, analysing and testing the technology to provide traceable assurance that systems are qualified through a detailed understanding of all service demands, performance requirements and potential failure mechanisms. This is directly applicable to new reactor and storage technology development for the future. Long term assurance of reliability of handling and storage of nuclear waste as part of decommissioning is also a significant issue. Astrimar's consultants have developed tools for modelling long term seal reliability and integrity.